We are launching the new Stroud Short Stories Anthology 2015-18 on Friday 28 September 2018 at the Ale House in John Street, Stroud from 7.00 to 10pm. The new anthology covers stories from the six events from November 2015 to May 2018. That’s 57 stories by 45 authors including Joanna Campbell, Rick Vick, Melanie Golding, Steve Wheeler, Chloe Turner, Jason Jackson, Ali Bacon and Andrew Stevenson. The anthology is priced at £10. The launch is free and unticketed. Please come along. There will be a few words from me at 7.30 and then Mark Graham will read his story ‘Wayland Smith: Warrior of the Milky Way’ from the anthology. Submissions invited of flash fiction from 1-500 words, in any genre, on the subject of the city, to be published in the anthology Story Cities. Deadline for submissions 16 September 2018. The city is a place where populations meet and strangers pass one another. Where stories are created, told, remembered and discarded. We are looking for tiny stories that are rich in plot and character – exploring the city through the journeys we take; the situations we encounter; the dialogues and connections we make. This will be a book that readers can take to any city and every city, in order to experience it through stories and imagine it differently. 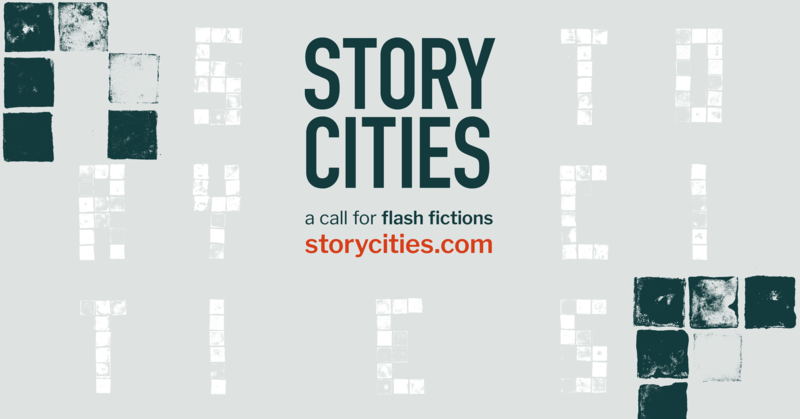 If you are interested in submitting a flash fiction to our book, please go to our website http://storycities.com for full guidelines on what we are looking for and how to submit. Story Cities is a collaborative research project initiated by lecturers at the University of Greenwich, London – Rosamund Davies, Senior Lecturer in Media and Creative Writing, and Kam Rehal, Senior Lecturer in Graphic and Digital Design. Unthank Books are very pleased to announce that Unthology 10, edited by Ashley Stokes and Robin Jones, the latest in the acclaimed short fiction series that showcases new and established writers, will be published on July 2nd 2018. You can find out everything you need to know here. Come and join us and meet the Unthologists. There will be readings in Norwich on July 5th and in London on July 26th. For full details, click here. Cornish Short Stories is here! We are delighted to announce the publication of Cornish Short Stories: A Collection of Contemporary Cornish Writing. Our official publication date is 2 April and pre-orders are available from all good booksellers and online. Join us for our book launch and celebration at The Falmouth Bookseller on Saturday 19 May at 6pm! The anthology contains the work of nineteen writers including authors Tom Vowler, Katherine Stansfield, Rob Magnuson Smith, Cathy Galvin of The Word Factory and Tim Hannigan. We also introduce stories by exciting new voices such as Anastasia Gammon and S Reid. Find out more on our website. Ghosts walk in the open and infidelities are conducted in plain sight. Two teenagers walk along a perfect beach in the anticipation of a first kiss. Time stops for nothing—not even for death. Sometimes time cracks, disrupting a fragile equilibrium. The stories are peopled with locals and incomers, sailors and land dwellers; a diver searches the deep for what she has lost, and forbidden lovers meet in secret places. Throughout, the writers’ words reveal a love of the incomparable Cornish landscape. Cornish Short Stories: A Collection of Contemporary Cornish Writing is published by The History Press, ISBN: 978 0750 983556.